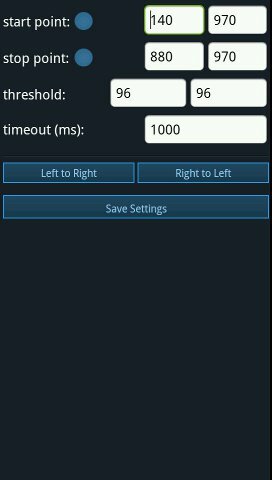 This is a release thread for my kernel module (with an app) for Evo 3d. It won't work with other phones... I think. I do not take any responsibility for anything you do with this. I do not give any warranty of any kind. Use at your own risk. This might make your phone unstable and/or unresponsive. This will NOT add additional battery drain when the screen is not touched. When you touch the screen there's a bit of processing for that but it's really insignificant when you compare it to a few minutes of screen battery drain. Despite what some people are saying, there is no polling, no thread running. 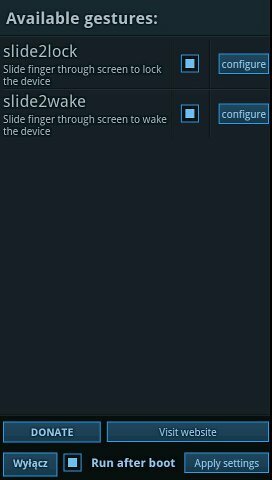 Devices use interrupts, so this mod is totally inactive until you touch the screen (it is "woken up" in that moment). I've been using this for 3 months now (yeah I had a pre-alpha-release for some time now), and there really is no battery drain. In fact when I disabled the power button (see here: http://forum.ponury.net/viewtopic.php?f=14&t=364) I've found that the device runs longer - no accidental wakeups when the button is pressed when I'm putting it in the pocket. - What happened to v1.1 ? ponury wrote: This is a release thread for my kernel module (with an app) for Evo 3d. can you add for another brand?im using Xperia Neo v..
olyd88 wrote: can you add for another brand?im using Xperia Neo v.. Need to try it anyway.what kind of system misbehaviour if this app not stable with phone? Touchscreen not responsive, system reboot (most likely), error message (second most likely). After reboot everything should get back to normal. Oh.okay lets have a test,who knows maybe you can find a solution if i send you Logcat? olyd88 wrote: Oh.okay lets have a test,who knows maybe you can find a solution if i send you Logcat? Not gonna happen it's a kernel module, the app itself is just a GUI. It might work for devices with the same atmel driver with the KALLSYMS_ALL option enabled in kernel. I have a confirmation that it works on CDMA with anthrax. Could you send me a log fron dmesg? and logcat probably. "Your kernel doesn't export all symbols, or your device is not compatible." I saw in instructions "kernel should have CONFIG_KALLSYMS_ALL".... does stock kernel have this? Do I need to enable it? What can I try?